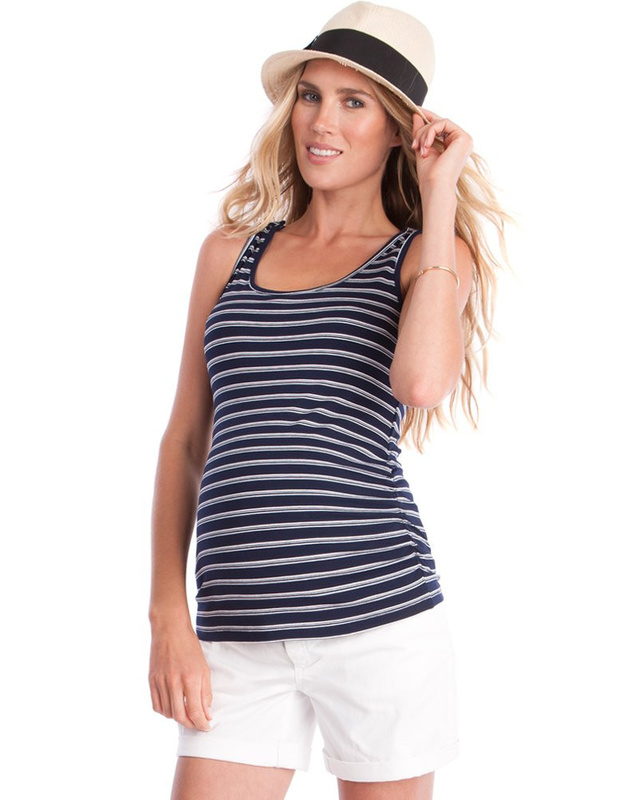 Made in soft stretch viscose and stylishly ruched at the sides, it offers a flexible fit throughout pregnancy & skims flatteringly over your figure after baby is born. 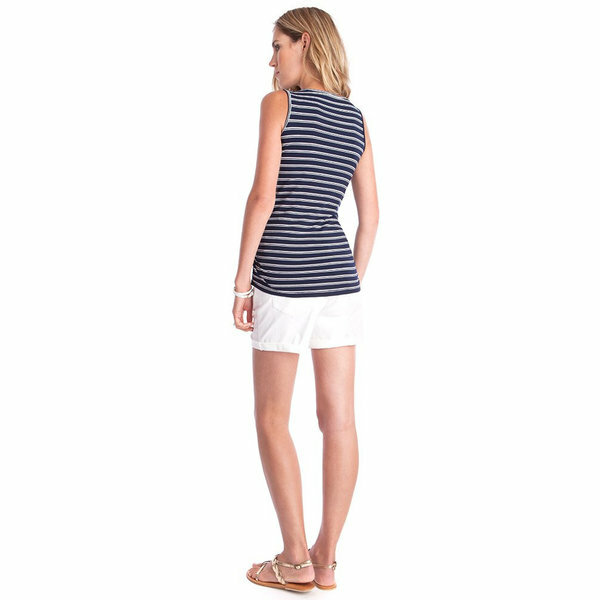 Making a seamless transition into your nursing clothes collection, discreet poppers at the shoulder open up to reveal a clever hidden layer with easy access for breastfeeding. 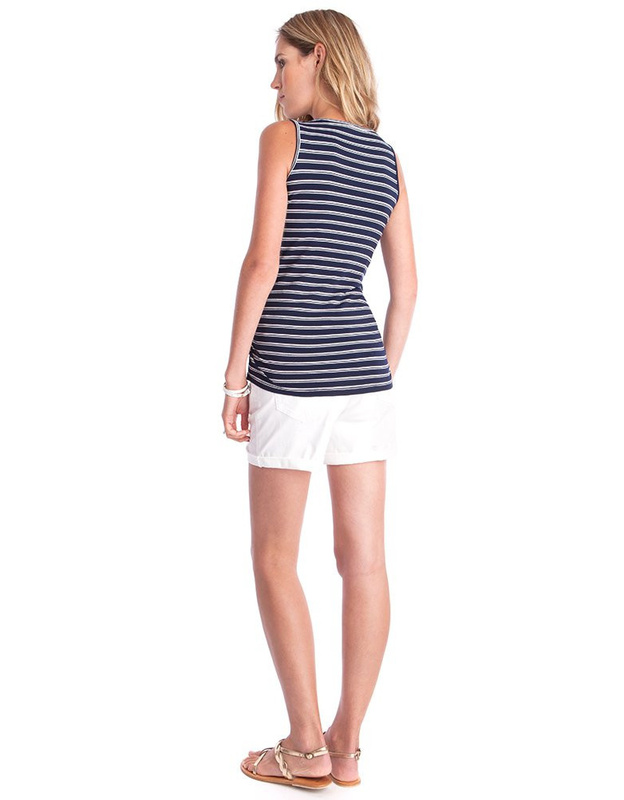 Team this cute nautical nursing top with skinny jeans & sandals for easy everyday style.